Hart & Honey is a multi-discipline art studio intended to encourage and promote collaboration amongst folks who create. Established by Ashley —a fashion designer turned graphic designer — and Lily—a ceramicist turned photographer—in hopes to generate lovely content, meaningful conversation and tangible things that make life a little prettier. What began as a physical space in the Midwest where we worked, drank large portions of delicious fresh coffee and often found ourselves concluding the day with a dance party, is now a little corner of the internet as we continue the aforementioned activities from our respective spots in Ohio and L.A. The word hart refers to a red deer stag. The term was used in medieval times to describe a stag 5 years or older, mature and ready to be hunted. We are committed to hard work and good craftsmanship, always striving to grow and be better. We think working together provides an encouragement and sharpening that is often missed when creating alone. Honey descirbes the sweetness and intentionality we strive to bring to our work experience. The one-on-one interactions, the time spent really understanding our clients and their brand, their personality and hopes. Our work is based in the belief that hand written notes are best and time spent investing in people is more important than time spent at our computers. After several mutual friends told each of us "You have to meet each other" we finally got coffee and starting chatting about our work and where we wanted to head professionally. An hour later we found ourselves wondering what would happen if we combined our individual pursuits -- food & design (Ashley) and photography (Lily). So we scheduled a day of cooking and shooting (and eating) and were hooked! We found that we worked really zzzAnother year later, an exciting opportunity took Lily to the West Coast -- and so, our Hart + Honey wings spread from L.A. to Ohio and while the logistics of collaboration are a tad trickier, we're committed to continuing what we think is a pretty good thing. Lily Glass is a lifestyle and editorial photographer who, if she had her way, would begin every day cuddling with her writerly husband and new baby girl in sunny Los Angeles. The majority of her time is spent documenting people in the midst of life’s most significant stages, but her favorite photographs tend to be those that capture the simple, everyday moments so often overlooked. Ashley is an art school grad and creative jack-of-all-trades, learning what balance looks like as a freelance graphic designer. 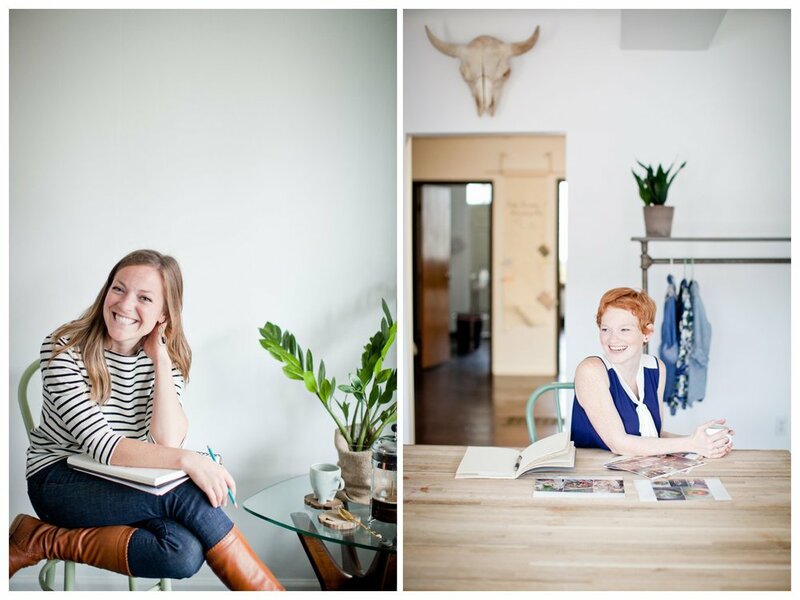 She runs a food & design blog out of Columbus, Ohio called Ginger & Birch. She considers dinner time the most romantic time of the day. When not in the studio or kitchen, you can find her enjoying a good cup of coffee & a fine pastry with her sweet husband. Travel is her creative fountain of youth, finding inspiration from experiencing other cultures.